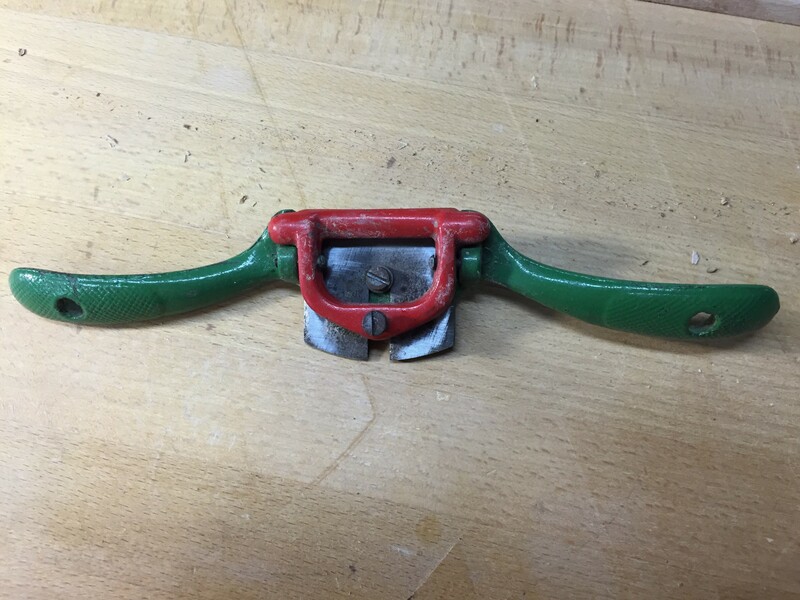 I had an old Kunz spokeshave that I recently tried to tuneup. I soon realized it was useless because there were no adjustment screws for the blade, and the blade was very thin. I could get a new blade but there would still be no easy adjustment without adjustment screws. Sorry, to the trash! While there, I went on their computer to the Lee Valley website to check out the Veritas spokeshaves. The only difference I could see is the Veritas ships with 2 shims that are placed between the blade and bed to adjust the size of the mouth. While they were about $10 less than the Pinnacle, about $94, I didn’t see a significant benefit of an adjustable mouth since I needed the spokeshave primarily for roughing out inside curves. I later learned that Lie-Nielson spokeshaves have a cast bronze body, no shims, and no adjustment screws. Nothing wrong with that but I wanted adjustments screws. I don’t see Lie-Nielson bench planes without an adjustment screw, their spokeshaves should have them too. I highly recommend testing tools, if possible, before you decide to purchase them. Most tools are precision instruments, but they’re made by machines that are invariably set up and run by men, and to keep costs down and profits up, the quality control can be lacking. At least that’s what I’ve found in my tool buying adventures. 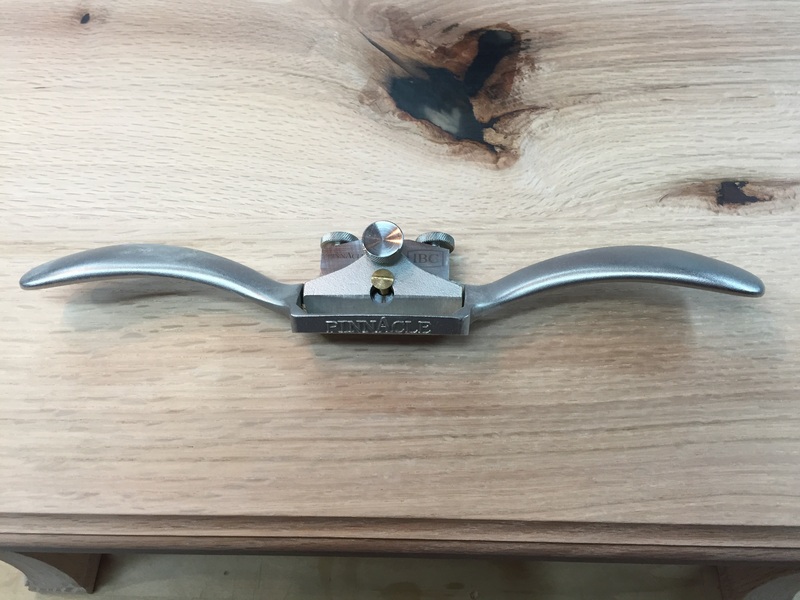 In the case of this Pinnacle spokeshave, Woodcraft had 3 in stock. The one on demo worked perfectly, and I assumed the new ones on the shelf would follow suit. Wrong! I took one, assembled it, and found out that neither of the adjustment screws would freewheel when the blade was locked down, something that I felt was incredibly important when adjusting the blade. Here’s why, if you don’t know. With the blade locked down, you should be able to spin the adjustment screws forward or backward maybe a half turn until they stop, then you loosen the cap iron, and make the adjustment. If you’re making a fine blade adjustment that is the ONLY way to do it, otherwise you have no idea where the adjustment screw is in relation to it engaging the blade. So I tested the second one, and only one of the adjustment screws freewheeled. So I tried the third one and both of those adjustment screws would not spin, just like the first one. Apparently either the boss on the adjustment screws were machined too large, or the body was tapped incorrectly. I suspect the jig they used to hold the body to tap the holes was not setup precisely, causing the threads to be off center. See, it’s quality control! Since the demo Pinnacle spokeshave worked perfectly, meaning both adjustment screws freewheeled when the cap iron was tightened, I bought that one. No demo discount, though I did ask, but the demo did not have a scratch on it. Pinnacle is owned by Woodcraft and is their upscale house brand. I called Woodcraft tech support and mentioned the issue and they were appreciative, saying they don’t find out about these problems until someone like me reports them. By the way, the body was cast and machined in China, the blade was manufactured in Canada. When I got home I flattened the back, took about 45 minutes (A2 steel is tough), and put a nice edge on it with a 2 degree microbevel to bring it to 47 degrees. 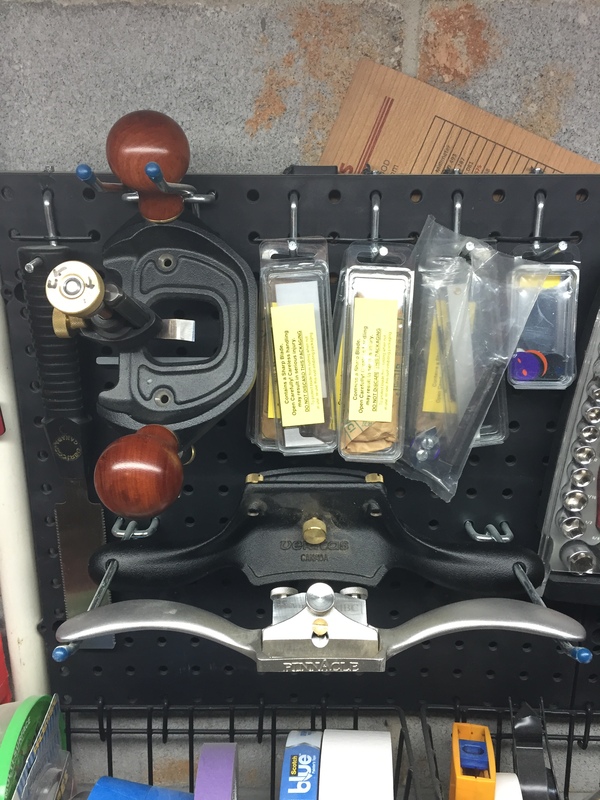 The A2 steel should hold an edge well, and it looks really nice hanging next to my Veritas router plane and cabinet scraper. Can’t win ’em all Lee Valley! 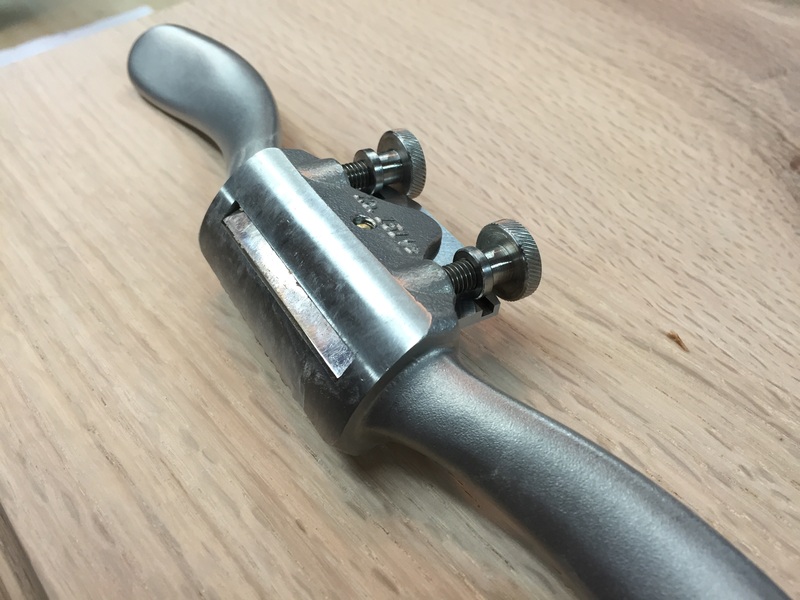 Veritas large router plane, cabinet scraper, and Pinnacle spokeshave.